Blog Laugh at the Enemy! Laugh at the enemy, says the LORD. For He is not your GOD, and he has no power over you! Laugh out loud and show him who is boss. For didn’t I say that you would tread on serpents and scorpions and you would be over all the power of the enemy, and NOTHING shall by ANY means hurt you? That is exactly what I meant when I gave you My Word. You can walk all over the enemy and trample him under your feet. Put on spiked shoes and laugh him to scorn as he has been doing to you. Your laugh is meaningful, and his is NOT. 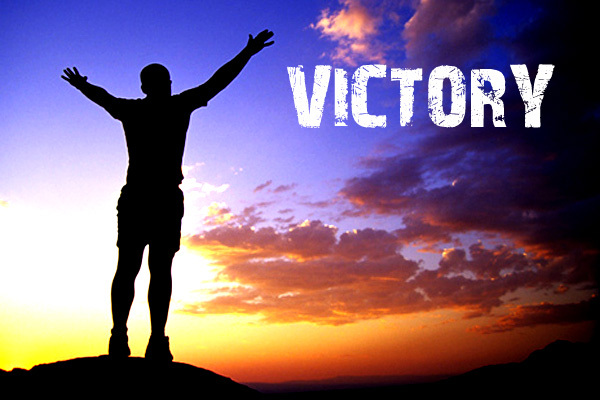 For you have the victory and he is the defeated one, says the LORD. Face the enemy head on, says the LORD. For he cannot resist you as you resist him. He does not expect resistance but expects you to run in fear. The opposite is the truth. You resist, and HE runs in terror of YOU. For I have armed you to be successful and to out-power the evil one and WIN the battle and the WAR! Do not cower or back down. For you will not be defeated if you remember that I have equipped you to destroy the diabolical works of the enemy and send him on the run, says the LORD. 37 Responses to Laugh at the Enemy! Amen thank you Lord for this uplifting word. I bless your name Lord Jesus Christ I bless your name. Thank You, Lord, for Your GRACE & the POWER to send the evil one running! !